A pregnant Muslim woman wearing a headscarf was attacked by an unidentified man in the German capital Berlin, reports said Wednesday. 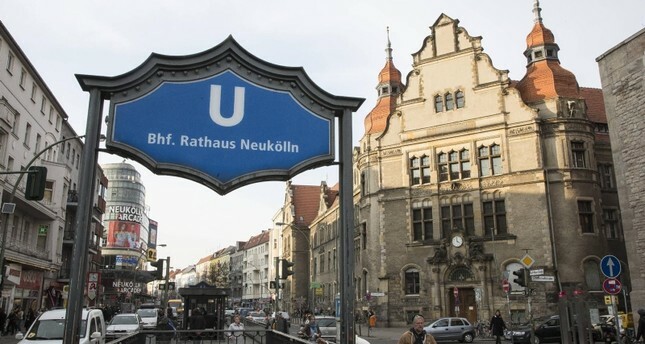 The incident reportedly took place near Neukölln train station, where a man walking his dog started insulting two women for wearing headscarves. The perpetrator reportedly punched the pregnant woman's abdomen, and punched the other woman's face and fled the scene, reports said. The pregnant woman was hospitalized following the attack and Berlin police have launched an investigation. In recent years, increasingly hostile attitudes toward immigrants and the Muslim community have been reported in Germany. In August 2018, massive far-right rallies rocked the city of Chemnitz, in eastern Germany, where skinheads hounded migrants and performed the illegal Hitler salute. Interior Ministry figures show that at least 950 attacks occurred in Germany on Muslims and Islamic institutions in 2018 alone. Germany has the second largest Muslim population in Europe.